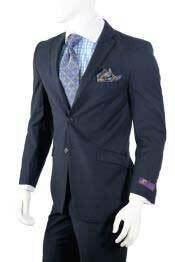 Slim-fit suits typically feature a tapered waist, slim and slightly tapered legs, and a narrower point-to-point shoulder measurement. 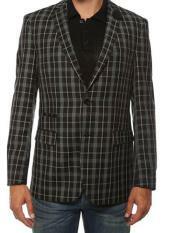 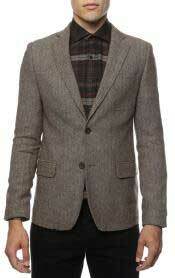 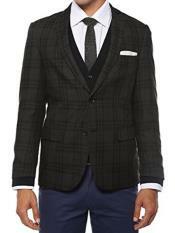 This style is especially flattering on men with a slim build but can give anyone a modern, trimmed-down silhouette. 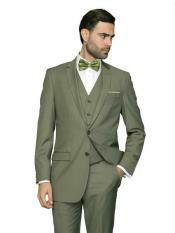 Men's slim-fit suit pants feature a lower rise than traditional suit pants and have a slightly shorter length. 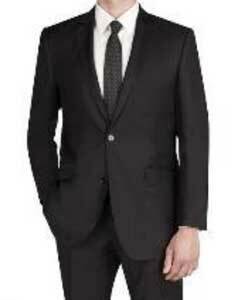 In addition, slim-fit suit pants will always have flat-front design, rather than the traditional pleated-front style, to keep an overall slim look underneath the jacket. 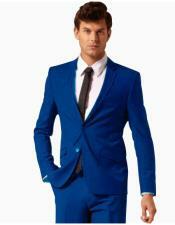 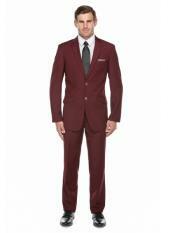 Slim-fit dress suits almost always have a narrower lapel with a higher gorge (or notch). 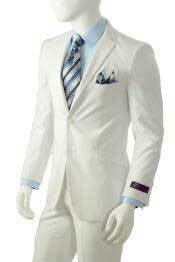 This pairs with a lower button stance to lengthen the look of the body, as slim-fit jackets typically have a shorter suit coat length overall. 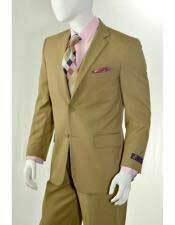 Smaller and softer shoulder pads also characterize the slim-fit, and most slim suits will have a single-breasted coat with two buttons rather than three, which is often the standard for traditional suits. 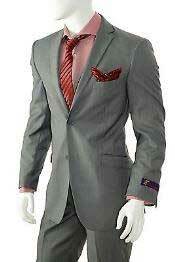 A regular tie can appear too bulky or wide underneath a slim-fit suit, so try it with a skinny tie instead.